Kissing Crane Lt. 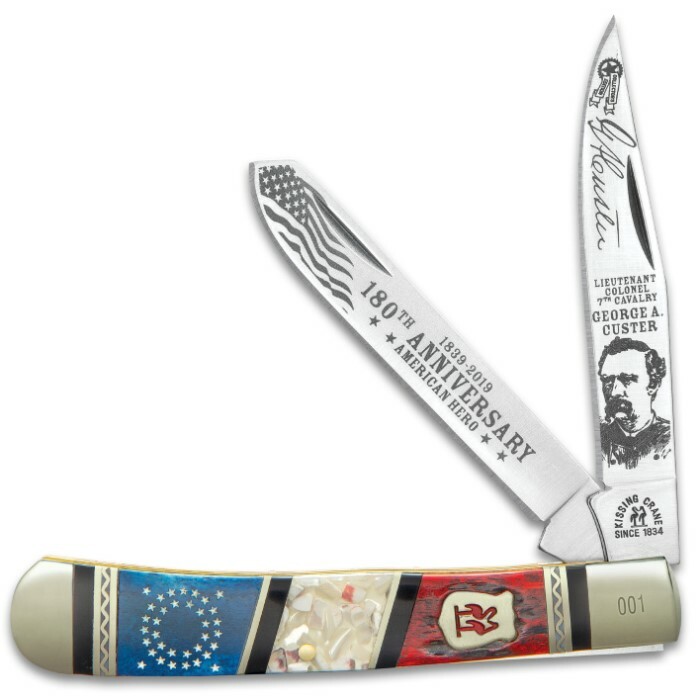 Colonel George Custer Trapper Pocket Knife - Stainless Steel Blades, Bone And Genuine Exotics Handle Scales, Nickel Silver Bolsters | BUDK.com - Knives & Swords At The Lowest Prices! Part of Kissing Crane’s American Hero Series, the Lt. 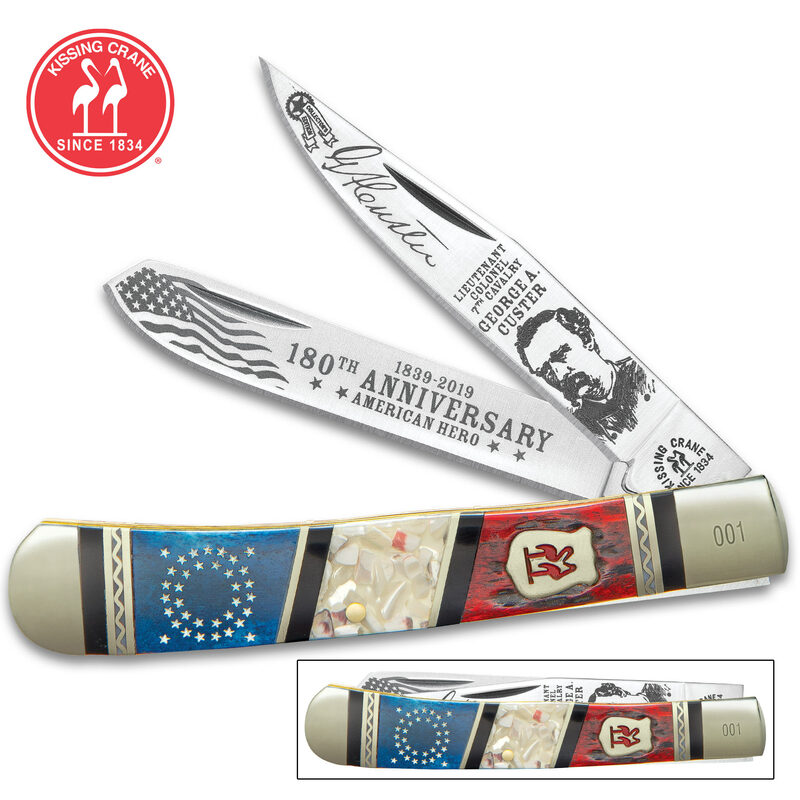 Colonel George Custer Trapper Pocket Knife is a must-have historical collectible. The knife has keenly sharp and resilient 440 stainless steel clip and spey blades, laser etched with Lt. Colonel Custer themed art and text. 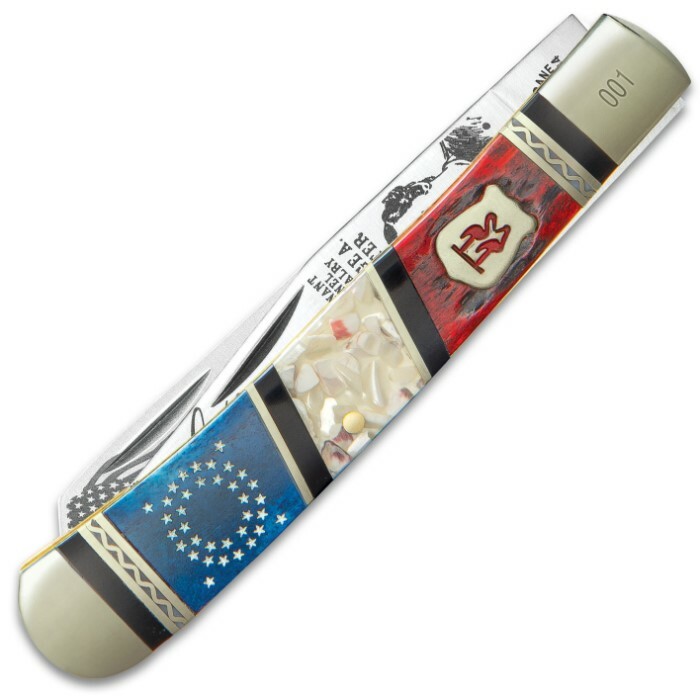 The handle scales are comprised of red jigged bone, exotics and blue bone with etched stars, accented with brass spacers. Nickel silver bolsters and a brass liner accent the classic pocket knife. The traditional Kissing Crane cast shield completes this exquisite design and each one is laser serialized on the bolster.